Company B was a dance-pop trio formed in 1986 by Cuban-American producer Ish "Angel" Ledesma (Foxy, Oxo), featuring members Lori L. (Ledesma), Lezlee Livrano and Susan Johnson. After their self-titled debut album, Livrano and Johnson were replaced by Donna Huntley and Julie Marie. Company B, resulted from the music trend of producer-driven girl groups in the late 1980's and early 1990's, most successfully the group Expos?. Company B's first album was released in 1987 on Atlantic Records. Company B, resulted from the music trend of producer-driven girl groups in the late 1980's and early 1990's, most successfully the group Expos?. Company B's first album was released in 1987 on Atlantic Records. Their first single, "Fascinated", received significant radio and club airplay and received noted popularity. It reached number one on the U.S. Hot Dance Club Play chart and crossed over to pop radio, peaking at number 21 on the Billboard Hot 100. Today, it is regarded as a dance music classic. 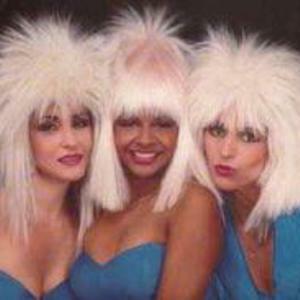 The trio was best known for this single, as well as their white wigs that were initially a part of their image. Although subsequent releases "Full Circle," "Perfect Lover," and "Signed in Your Book of Love" also received club play, along with appearances on such programs as Showtime at the Apollo, the songs received little attention at radio. In 1989, Company B released their follow-up album, Gotta Dance, along with a revamped image - the white wigs were gone. Singles culled from the album included "You Stole My Heart," "Gotta Dance" and a cover of The Andrews Sisters song, "Boogie Woogie Bugle Boy". Despite a music video for "Boogie Woogie Bugle Boy", the group did not realize the continued success from their debut effort. A third album recycled a few songs from the first album, while the track "Jam on Me" added more lyrics to the song than it initially appeared on their first album.